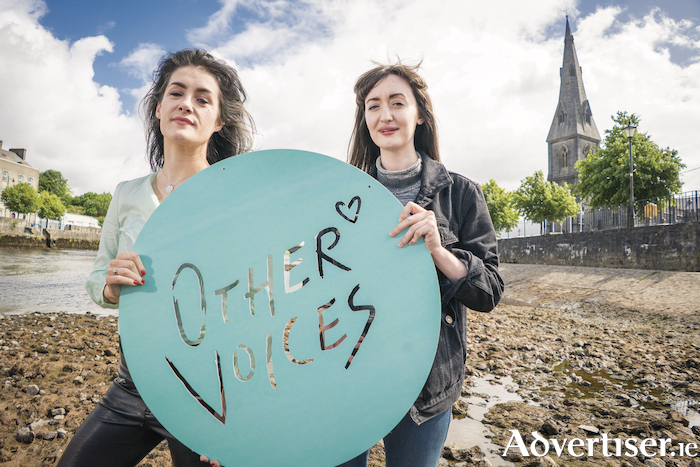 Ballina will provide the stunning backdrop for Other Voices, the internationally acclaimed music television series and arts festival, this September 28 and 29. From Dingle to Derry, New York to Belfast, Texas to London, Berlin and beyond, Ballina joins the global network of towns and cities that map the rich and diverse musical journey of Other Voices. At the end of September, the Mayo town will explode into life with song, story, conversation and debate, during a weekend of live music, creative partnerships and diverse discussions with artists and speakers from across the world, joining together to raise their voices. The Other Voices live TV recordings will take place in the 250-year old St Michael’s Church in the heart of Ballina, while the Other Voices Music Trail will run across a multitude of venues, bars, pubs and clubs throughout the town. Also taking place during the Other Voices Ballina weekend will be the annual Food Fleadh Ballina, hosted by Ballina Chamber of Commerce at the Old Military Quarter in the town centre. This culinary feast will highlight the very best local, seasonal, sustainable food, and a wealth of produce on offer from the fertile lands and rivers of Ballina and North Mayo. Along with a host of market stalls and tasting menus, join many of Mayo’s most celebrated chefs and food producers for demonstrations, workshops and much more. The first act to be announced for St Michael’s Church in September is local songwriter and performer Maria Kelly. The selection of the Westport native offers a true reflection of Other Voices on-going commitment to showcasing the very best emerging music talent. As one of the breakthrough Irish artists of 2018, Maria topped the poll in the Other Voices Open Call 2017, to secure a spot at the IMRO Other Room at Other Voices Dingle last December. Maria will be joined by a host of international and Irish acts at the TV recording event, with artists being announced over the coming months. Maria joined Other Voices presenter and Le Galaxie frontwoman May Kay, to celebrate the launch of Other Voices Ballina in St Michael’s Church on Thursday. The Other Voices Open Call Ballina 2018 is now accepting submissions. This year, Other Voices invite artists of all genres to submit one track to be considered for a performance slot on the Other Voices Ballina Music Trail in September 2018. For details and submissions see www.othervoices.ie Tickets for Other Voices Ballina are free but limited and will only be available through local media and online competitions, which will be announced in late Summer on www.othervoices.ie and @OtherVoicesLive on Facebook and Twitter.